S o last night I was invited along to the UK Premiere of the most anticipated film of the year Tinker, Tailor, Soldier, Spy. So whilst the Lady was quaffing champagne with the stars I was lucky enough to be granted Red Carpet access to chat with the cast and team behind the film, as well as managed to wangle exclusive access to inside the BFI behind the scenes as and if that wasn't enough - I got to see see Tinker, Tailor, Soldier, Spy for a second time. 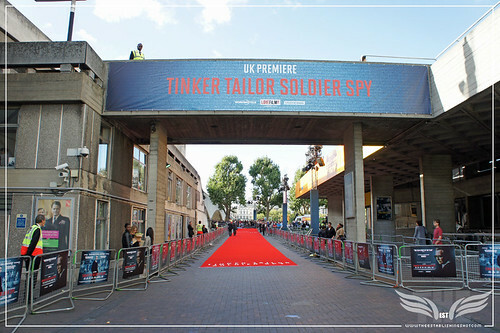 The Establishing Shot : Tinker, Tailor, Soldier, Spy Premiere - BFI, London, a photo by Craig Grobler on Flickr. While I'm sorting out video interviews and still buzzing from the premiere I thought I would get some pics up from the evening as well as outline my thoughts on Tinker, Tailor, Soldier, Spy after a second viewing. The Establishing Shot : Tinker, Tailor, Soldier, Spy Premiere - Gary Oldman, David Dencik, John le Carré, Tomas Alfredson and Robyn Slovo, a photo by Craig Grobler on Flickr. I was right Tinker, Tailor, Soldier, Spy plays like a different film the second time around. The first time I saw it I was so busy trying to soak up everything, which is impossible as there is so much to take in - the mystery of what is happening, masterful performances, the cleverly layered roll out of what takes place and how it happened as well as the intense visual and aural stimulus that Tomas Alfredson creates. 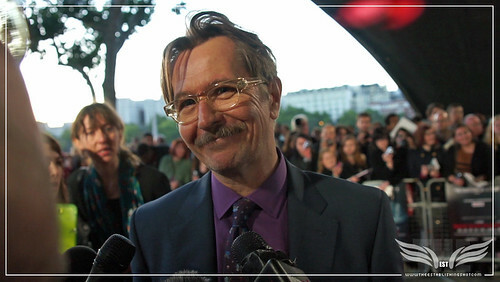 The Establishing Shot : Tinker, Tailor, Soldier, Spy Premiere - Mr. Gary Oldman (George Smiley), a photo by Craig Grobler on Flickr. 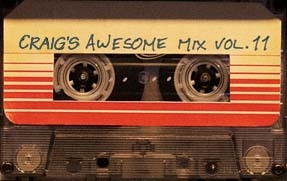 The second time around I was able to hear the careful sound design of the film. 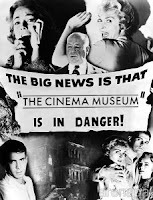 Which moves from elegantly building atmosphere to deliberately not playing to typical cliches of suspense building. The camera work is outstanding but the second time around I was able to appreciate it more, as well as how tactile and referential objects saturate the entirety of the film. 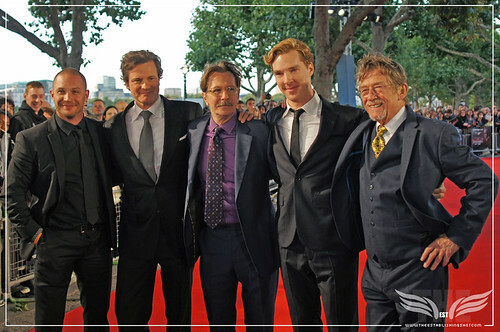 The Establishing Shot : Tinker, Tailor, Soldier, Spy Premiere - Tom Hardy, Colin Firth, Gary Oldman, Benedict Cumberbatch, Mr. John Hurt, a photo by Craig Grobler on Flickr. Again I was struck by the unbelievable performances across the board, there are no small parts in Tinker, Tailor, Soldier, Spy just outstanding performances of varying screen time. The intensely clever narrative is propped up by some of the best performances this year as well as any other. Everyone plays a role in the story and if one performance is lacking the film would come tumbling down. 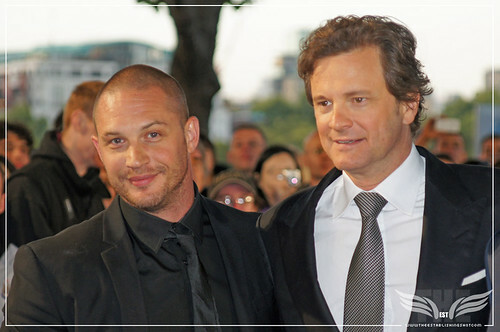 The Establishing Shot : Tinker, Tailor, Soldier, Spy Premiere - Tom Hardy, Colin Firth, a photo by Craig Grobler on Flickr. Gary Oldman is absolutely electric as George Smiley and burns up every scene he is in. My eyes followed his every movement while on screen and I hung on every word of his as he delivers each one with great care and attention. In my review over here! I said he was outstanding. This was an under estimation I think we may be seeing Gary Oldman in the role of a lifetime. However having spoken to the man I get a strong feeling that he may just be warming up and we haven't seen his best yet. 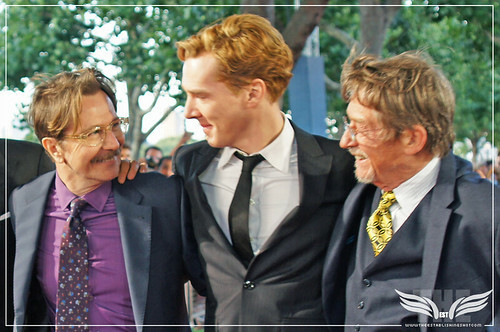 The Establishing Shot : Tinker, Tailor, Soldier, Spy Premiere - Gary Oldman, Benedict Cumberbatch, Mr. John Hurt, a photo by Craig Grobler on Flickr. Other performances which bowled me over the second time were from Benedict Cumberbatch almost stealing the film from Gary Oldman, Colin Firth understated yet incredibly engaging and powerful. John Hurt as Control was a revelation the second time round, I now feel robbed that he has so little screen time. I really got to fully appreciate Toby Jones brilliant performance. Simon McBurney eats up the screen every time he appears. And what should be re-runs of fairly typical foreign spy characters are played engagingly and unpredictably by Tomasz Kowalsk and Konstantin Khabenskiy. 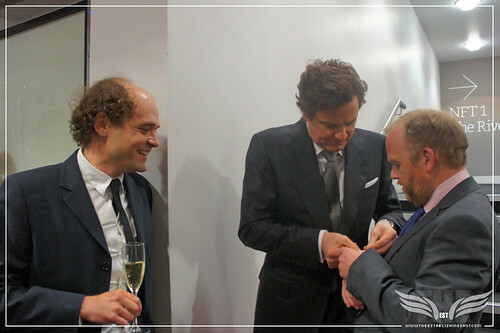 The Establishing Shot : Tinker, Tailor, Soldier, Spy Premiere - David Dencik & Colin Firth fixing Toby Jones' watch - Because being a gentleman doesn't stop when there are no cameras, a photo by Craig Grobler on Flickr. The second time round the most noticeable aspect of the film which became more relevant was the emotional side of the film. In my first viewing there was just too much to take in, particularly as I was not familiar with John le Carré works. The second time around I knew where the narrative was going so I understood the characters motivations and actions from the beginning. What I am saying is that a lot happens throughout the film and the relevance is not fully understood till much later on so Tinker, Tailor, Soldier, Spy works on two levels. On one level those who know the story get to see it roll out magnificently, those unfamiliar with it get to see a fine detective/spy thriller the first time round. 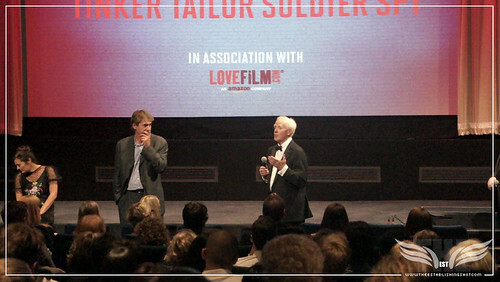 The Establishing Shot : Tinker, Tailor, Soldier, Spy Premiere - Robyn Slovo, Tim Bevan & Mr. John le Carré introducing Tinker, Tailor, Soldier, Spy, a photo by Craig Grobler on Flickr. The Establishing Shot : Tinker, Tailor, Soldier, Spy Premiere - Robyn Slovo, Tim Bevan, Peter Straughan, Tomas Alfredson & Mr. Gary Oldman introducing the UK Premiere of Tinker, Tailor, Soldier, Spy, a photo by Craig Grobler on Flickr. So the second time the emotional side of a close knit team of the Circus being betrayed by one of their own really hit home for me. It became less of a mole hunt and more about brothers in arms being turned on one another. In this respect, Colin Firth, Mark Strong and David Dencik carry the ball. It was profoundly sad watching the tragic spiraling down of the circle of trusted colleagues. 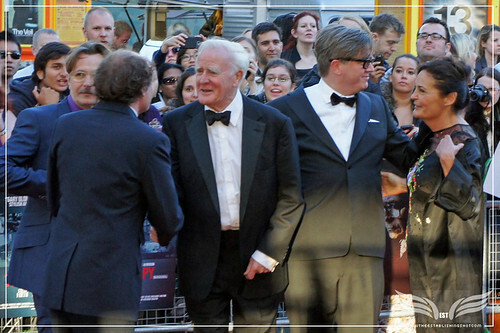 The entire photoset from the Tinker, Tailor, Soldier, Spy Premiere can be seen over here! Video interviews and premiere report will be up soon. 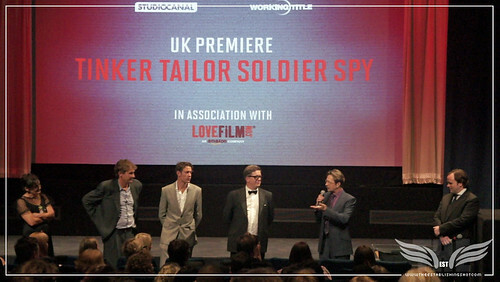 The Tinker, Tailor, Soldier, Spy Premiere at the London BFI was attended by Tinker, Tailor team that included: Gary Oldman, Colin Firth, Tom Hardy, Benedict Cumberbatch, John Hurt, David Dencik, Stephen Graham, Toby Jones, Konstantin Khabenskiy, Roger Lloyd Pack, Simon Mcburney, Peter Mcneil O’connor, Tomasz Kowalski, Working Title co founder and Producer Tim Bevan, Producer Robyn Slovo, Director Tomas Alfredson, Screenwriter Peter Straughan And John Le Carré. And amongst others, luminaries such as: Melia McEnery, Eric Clapton, Laura Bailey, Livia Giuggiol, Noomi Repace, Alexandra Edenborough, Linzi Stoppard & Will Stoppard, Oswald Boatang and Mariella Frostrup. Special thanks to genuinely good guy Chris Wilson for taking time out from developing scripts for Walt Disney, Warner Bros and right in the middle of pitching a script to Luc Besson he came along to be The Establishing Shot's camera man for the Premiere. Chris actually took most of the good photos from the evening as well as all the video. You can follow Chris's adventures here!